Unfortunately, nothing is perfect in the medical field including medical providers, medications, medical devices and medical treatments. While medical providers and manufacturers of medical devices strive to provide the best services and products to patients, there will be complications and negligence in the medical field. Brain shunts are commonly used to treat hydrocephalus. When the brain shunt fails or develops complications, it can be terrifying for the patient and his or her family. Our medical malpractice attorneys have extensive experience helping clients determine if the brain shunt complications were due to a preventable and unavoidable malfunction or failure of the brain shunt. If you notice any of the symptoms of a malfunctioning or failed brain shunt, you should seek medical attention immediately to avoid brain shunt complications. Complications with the brain shunt include obstructions, mechanical failure, infections and the need to replace or lengthen the shunt. Doctors may need to remove a blockage or remove the brain shunt to insert a new shunt in its place. If left untreated, complications can occur from underdraining and overdraining caused by a malfunctioning or failed brain shunt. A shunt that causes overdraining can lead to complications including collapsed ventricles, torn blood vessels, subdural hematomas and severe headaches. Underdraining can also lead to complications including the symptoms of hydrocephalus reoccurring. Unfortunately, a patient may suffer from medical malpractice associated with brain shunts in many ways. From a misdiagnosis or a failure to diagnose to the actual surgery to insert the brain shunt, a patient may suffer serious complications if a doctor is negligent. Furthermore, the brain shunt itself could malfunction due to a defect causing the patient to suffer serious complications. Regardless of the reason while a patient suffers brain shunt complications, if there was negligence on the part of one of these parties, the patient may be entitled to receive compensation or his or her injuries including lost wages, pain & suffering and medical costs. To increase your chances of recovering a full and just settlement for your injuries, you should contact a medical malpractice attorney who has experience in brain shunt cases. Our medical malpractice attorneys have the knowledge and expertise to represent you in a brain shunt medical malpractice case. Contact our office to schedule a free consultation to learn more about your legal rights to receive compensation for your damages. We will be happy to answer all of your questions and explain your legal options. 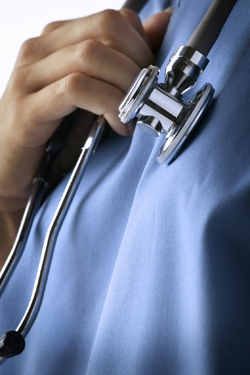 If you or a loved one have been injured by medical malpractice, you will need a lawyer with experience. Call Moseley Collins at (916) 444-4444 for a free consultation. Moseley Collins is a personal injury attorney serving those badly hurt throughout Northern California. There is absolutely NO FEE to discuss your case and there is absolutely no fee unless we win and get you the money you are entitled to. We are on your side and know what to do to get you compensation and justice.